I made this for my dad's 96th birthday a couple of weeks ago. He and I share a love of all things sweet, and if they happen to involve peanut butter, all the better. This pie has a sweet, rich, custardy-creamy filling with a flavor that might remind you of peanut butter fudge. It was a huge hit with all of us. 1. Preheat oven to 400 degrees. In a medium bowl, mix the confectioner's sugar peanut butter until well combined. Set aside. 2. In a three quart saucepan over low heat, whisk together the sugar, cornstarch, milk, eggs yolks and salt until well combined. Cook, stirring constantly, until mixture bubbles and thickens, about 10 minutes (this will vary, based on exact amount of heat, thickness of pan, etc.). When thickened, remove from heat, and stir in vanilla and butter until butter is completely melted. Set aside to cool slightly while you prepare the meringue. 3. While filling is cooling, place the egg whites in a medium size bowl and beat on medium speed until the whites begin to foam. While beating, add cream of tartar and pinch of salt. Beat on high until whites become glossy and soft peaks begin to form. While mixer is running, slowly pour in sugar, 1 tablespoon at a time, then add vanilla. Continue to beat until stiff peaks form. Set meringue aside. 4. Stir peanut butter into cooked filling mixture until completely combined. Pour mixture into baked pie shell. Spread meringue onto pie filling, mounding slightly in the middle, and completely sealing meringue edges to crust. Bake for about 10 minutes, or until meringue is lightly browned. 5. Let pie set on a wire rack until completely cooled before slicing, at least 2 hours. History: Rosalynn and Jimmy Carter ran a family peanut farm and warehouse before Jimmy Carter was elected Governor of Georgia in 1970 (and President of the United States in 1976). They were always proud of Georgia and Georgia crops, such as peanuts. 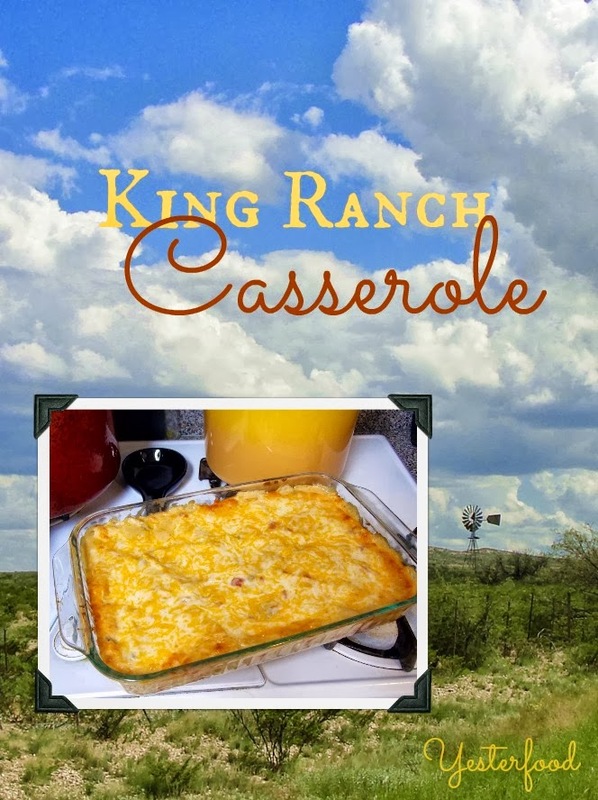 Recipe adapted from Brookshire Grocery Co.'s publication of Rosalynn Carter's recipe. Rosalynn Carter's Peanut Butter Pie has been taken to these great parties! Joy - I am speechless at your pie! I have never heard of or tasted any kind of peanut butter custard before. And then you top it with meringue? You have opened up a whole new world for me! Kris, you are so awesome! This really is a special pie- I had it in my head for a long time, just couldn't figure out exactly how to do it. Mrs. Carter and I figured it out. ;) I'm so glad you came by- thanks!! Tricia, is really is one of the best things I've ever had. :) My dad quit eating it just long enough to look up at my mom and say, "Get the recipe!" :) Thank you so much for coming by! Love coming over for a visit whenever your bake!! But I may have to cut down the sugar in this awesome pie if I bake it!! Will miss your baking companionship at TCS! Hugs and kisses! Emily, you are a sweet friend to come by and visit- thank you so much!! I will keep up with you through your blog! Hugs and kisses back to you! Wow- 96! That's wonderful:) This pie looks delicious and I love that there aren't any artificial mixes or ingredients in here! Just homemade goodness:) Have a wonderful weekend Joy! Thank you Shannon- I'm really lucky to have my dad for so long! I don't have anything against mixes, but I do like to make things myself when I can. :) Thank you for visiting! You really are very lucky to have your Dad so very long -- and I hope you get at least 20 more years with him. Hope you take after him! As for that pie.... oh my! We have friends coming next Saturday and I was going to make your Dark Chocolate Cherry Pecan Brownies -- and now I don't know which one to make! Thank you for making my life so difficult! Grandma KC, I am very lucky and very blessed to have my dad at 96, and my mom at 87. :) As far as desserts go, when I don't know which to make....I always make both. ;) You are so much fun- thanks for coming by!! Oh my, PB, hubby would love this! JoAnn, this is definitely a peanut butter-lover's pie! :) Thanks for the visit! I saw this earlier on FB and I'm just now getting a chance to come by and get a look :) I am totally sold on this pie - I love peanut butter - almost as much as Biquick and poke cakes ;) LOL. Pinned this, my friend! have a great weekend, Joy! LOL! That speaks pretty highly of peanut butter, Jamie! it really is one of the best things I've ever eaten. :) Thank you so much for coming by, and for pinning! Thank you, Medeja, we really did love it! :) Thank you for the visit! It's so amazing that you celebrated you Father's 96th birthday! Happy Birthday to him. Mmmm, this looks wonderful! Thank you for the recipe! I have always admired Mrs. Carter....a kind, lovely lady! Yummy ..that pie looks delicious!! the Let's Get Social Sunday. My hubby raves about a peanut butter pie that his grandmother made... maybe I'll make this and surprise him! Sarah, if you try it, I hope you like it as much as we do! :) Wonder if anyone in his family has the recipe? They are few and far between! This looks soo yummy AND I'm sure I have all the ingredients!! Terry, it is really good...I love trying a new recipe when I already have all the ingredients! :) Thank you for coming by! How special to celebrate your dad's 96th! My dad loves peanut butter desserts--I'll have to make this for him. Especially if it tastes like PB fudge, which is one of his all time favs. I've never seen a PB pie quite like this! Thank you for sharing, Joy! A 96th birthday is pretty special, that's for sure- we had such a good time! Michelle, I've had this pie in my head for at least a couple of years. It's taken this long to figure out how to get what I was looking for! :) Thank you for hosting your pot luck- I really enjoy it! Peanut butter meringue pie? Craaaaaaaaaaazy! That sounds (and looks) soooo good. Thank you for sharing your recipe! Jo and Sue, y'all are so much fun! (That pie really is one of the very best things I have ever eaten)! :D Thank you for the visit! Sounds and looks really good. I’m going to have to save this so I can make it for my hubby! Oooh the combination of peanut butter and a meringue topping. Haven't seen anything like it before, and I know it will be loved by my family. Pinning it to make for the weekend! Hi, you pie looks amazing and I bet it tasted so yummy! I love pies and the fall! Wishing you a wonderful weekend. Julie, thank you so much! I love pies, too; I could probably have an all-pie blog! :) Thank you for coming by, and I hope you have a wonderful weekend, too! Joy, WOW! How well I remember when Jimmy Carter was president and all the peanut/p-nut butter recipes that began appearing everywhere! This pie sounds amazing! Thanks for sharing. Yes, peanuts and peanut butter became so popular. I do not remember this pie, but I'm sure it was in there somewhere. I discovered it a few decades late! ;) Thank you for visiting! Can't you just hear Miss Rosalynn giving this recipe to a friend, or sitting and having a slice of this delicious pie with her. This is a great recipe that I can't wait to try. Have a great weekend and thank you so much for sharing with Full Plate Thursday. How cool a recipe from the Carters. Thanks for sharing it with us on foodie friday. I had never heard of a peanut butter pie and I son will love it. You are responsible for the drool on my keyboard! And for the break in my diet. :-) Looks delicious and what a treasure to have your father to enjoy it with. Yes, just yes! I love peanut butter recipes, add in the pie and I'm sold. I am going to have to make this, this year when we all get together for thanksgiving. From the looks of it, it's going to be a huge hit. Also, happy belated birthday to your dad. 96 and still going, that is wonderful! :) Thanks for sharing such a yummy recipe, Joy. Ruth, you are so sweet to send birthday wishes to my dad- I will pass them along! This pie is going to make an appearance at our Thanksgiving table this year, too. Pie is my favorite thing about Thanksgiving, and I always go kinda nuts making too many. ;) Wait, can there be TOO many pies? :) Thank you for the invitation to the party- I will be there! This looks absolutely delicious! I think it would be a huge hit here in our house! Thanks for sharing! Thanks, Michelle! It went over pretty well at my house, too! :) Thank you for coming by! Such a fabulous looking pie! I think your meringue is perfect! Meringue is always something I have an issue with. I don't think I have ever tried a peanut butter pie like this before. Thank you for linking this to the In and Out of the Kitchen Link Party. I will be featuring this in the Top 10 Favorites post that goes live on Monday morning. See you at the next party! Hi Joy. Thank you so much for linking up this delicious Peanut Butter Pie to the Sweet Wednesday Link Party and hope you'll join us tomorrow night! This looks amazing!! Thank you for linking up to last weeks Thrifty Thursday!! I have Featured your post this week - I hope you will continue to join us!! Miz Helen, I am so happy you liked my recipe! It means a lot to me to be featured on Full Plate Thursday! :) Thank you! G'day Joy! What a great pie from a great lady, true! Great photo and glad today I got to view! Oh my goodness, this looks good. My daughter who is very picky is a huge fan of peanut butter pie, but I have never seen a recipe similar to this one. I am definitely going to have to try it. Thanks for sharing on Foodie Friends Friday! Rosalynn Carter- now that's going back awhile in time! I also remember Jimmy's brother, Billy, who was very fond of beer - maybe we could find a beer recipe from Billy somewhere? This recipe looks very rich and delicious. I recently joined Foodie Friends Friday - thanks or sharing!! Wonderful- so glad to see you with Foodie Friends Friday! I'll check to see if I can find one of Billy's recipes, lol! Thanks for coming by, Fran! Thanks for sharing this again on Foodie Friends Friday again. This was perfect for the peanut butter party! I remember traveling with the kids back in Virginia doing the history route, and coming across a little inn that served peanut soup! It was so good and I imaging this pie is also spectacular! Pinning to make this for later! This looks absolutely delicious Joy and can't wait to try! Pinned and shared!